This post will cover the basic elements of your food blog. There are several foundational pieces so let’s quickly define each one and how they relate to one another. Armed with this information it will be much easier to manage your blog on an ongoing basis as well as customize it and seek support comfortably as you need it. This gives your food blog a place to be found on the internet (domain name) and a place for all your files (blog posts, plugins, theme, etc) to live on a host’s server. The host then simply “serves” them to a visitor’s browser when someone visits your website. 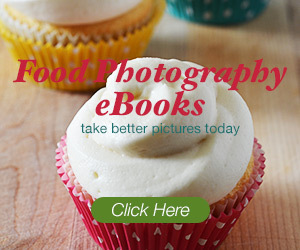 Popular hosts for beginning food bloggers include Bluehost and GoDaddy. Without a domain and hosting set up, your blog wouldn’t exist. This gives your food blog a place to be found on the internet (domain name) and a place for all your files (blog posts, plugins, theme, etc) to live on a host’s server. The host then simply “serves” them to a visitor’s browser when someone visits your website. 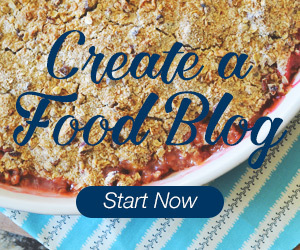 Popular hosts for beginning food bloggers include Bluehost and GoDaddy. Without a domain and hosting set up, your self-hosted blog couldn’t exist. In the analogy of a house, these elements would represent the lot or land and the foundation of your new home. You’re not building any kind of real house (food blog) without a lot (domain name) or the foundation (hosting account) in place first. A content management system (CMS) is a program that both gives the ability to write and publish posts as well as storing these posts and their comments. In short, it’s a piece of software that allows one to create and manage digital content. While a CMS can be used on a single computer or for internal purposes at a company, for our purposes we’re interested in a CMS that allows someone to create and publish a blog on the internet. While there are plenty of CMSs out there, the three most popular CMSs for bloggers are WordPress, Drupal, and Joomla. We recommend WordPress for your food blog as it is far and away the most popular CMS used by bloggers due to its powerful capabilities yet easy to learn interface. In our house analogy, your CMS (WordPress) would represent the structure itself as well as the core functionality of your home such as plumbing, wiring, bedrooms, doors, etc. Without the structure and core functionality, nothing else would matter. Thus, it absolutely essential that you install WordPress on your hosting account before you can start blogging! As mentioned above, a WordPress theme is what gives your website its appearance, or lack thereof in the case of ugly or vanilla themes! A theme is what will determine whether your food blog has one, two or three columns, where the ads will appear in order to monetize your blog, how big or little your header and logo area will be, whether it will responsive (friendly for those visiting on mobile and tablet devices) and generally provide you options for customizing the general look and feel of your website. It is worth noting that most sites will group themes based off the end purpose of the site. For example, there are similarly designed and functional themes for businesses, magazine and news sites, photography sites, e-commerce sites and more. If you’re planning on creating a food blog or otherwise, you probably don’t want a theme intended for photographers as the theme will be geared towards showing off only pictures and not your beautifully written food posts and recipes. We cover theme basics as well as your options for both paid and free food blog themes for WordPress over here. Continuing our house analogy, your theme is the outer appearance of your home. Just like during the home buying process you decide whether you want brick, stucco, siding or otherwise you also in large part choose the appearance of your website by your initial theme choice. While both can be changed at some future date neither is done easily, so choose your theme wisely! The last core part of your food blog will be WordPress plugins. Plugins are files or groups of files that provide additional functionality to your blog beyond the theme’s core functionality. Some plugins are almost essential to your blog while many others are purely extra but helpful nonetheless. 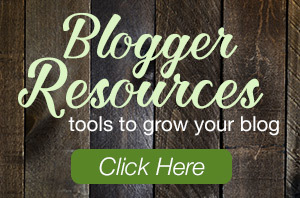 These plugins come in both the free and paid variety and are critical to your blog’s success. In the home analogy, plugins are upgrades. While your home or blog in most cases will be just fine without them, upgrades or plugins will definitely make things easier for the owner and impress visitors! With a basic understanding of the different elements a website using WordPress, you’re well on your way to creating your own food blog or continuing to customize it to match your vision!